But the American ninth seed recovered to win six games in a row and came through 6-3, 3-6 and 6-1. Williams has now progressed from the last 16 at Flushing Meadows 12 times since making her debut in 1997. She has won the title on two occasions. Petra Kvitova moved into the quarter-finals of the US Open after defeating Wimbledon champion Garbine Muguruza at the Flushing Meadows. The 13th seed Czech battled back from 1-4 down in the first set to win 7-6, 6-3. This is Kvitova’s best effort at a Grand Slam since she reached the last eight in New York two ago. The 27-year-old returned to action in May after she was attacked at her home last December. The knife attack led to extensive surgery on her left hand, however, her performance should that she is once again capable of attacking tennis which brought her Wimbledon titles. 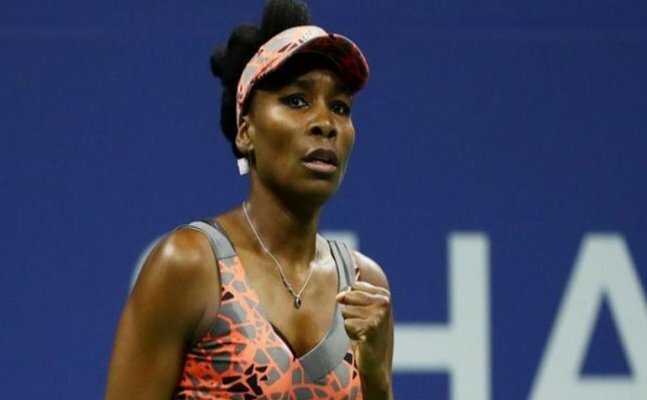 Meanwhile, her opponent in the last eight Venus Williams booked her place in the quarters with three-set-victory over Carla Suarez Navarro. The world no 35 capitalised on an error in the second set to level the match and take it to a decider. Maria Sharapova's first Grand Slam tournament in 19 months ended with defeat by Anastasija Sevastova in the US Open fourth round. Latvia's Sevastova, the 16th seed, won 5-7 6-4 6-2 to reach the quarter-finals in New York. The 27-year-old will play Sloane Stephens in the quarter-finals, after the American beat Julia Goerges.